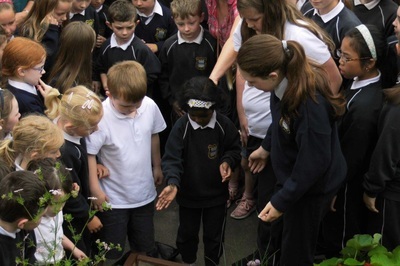 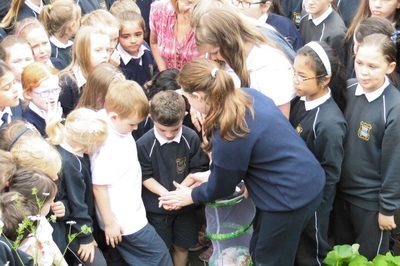 There was great excitement on Wednesday morning, June 23rd, when all classes gathered at our Biodiversity Garden to watch seven Painted Lady butterflies being released. 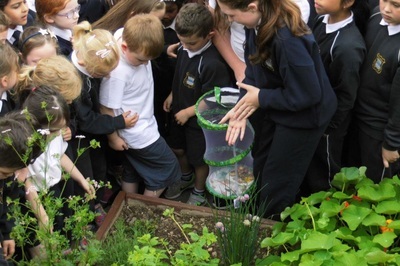 The Larvae (caterpillars) arrived about four weeks ago in tubs containing all the nutritious food they needed to become butterflies. 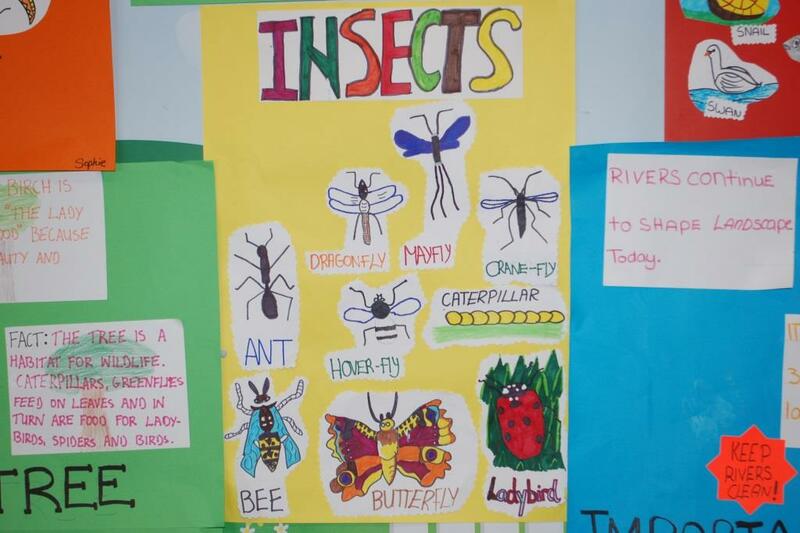 They shed their exoskeletons 7 times (approximately), as they grew, over the next 10-14 days. They hardened and became chrysalides after about 3 days. We placed them in a hatching habitat and waited for a further 7-10 days for the butterflies to emerge. 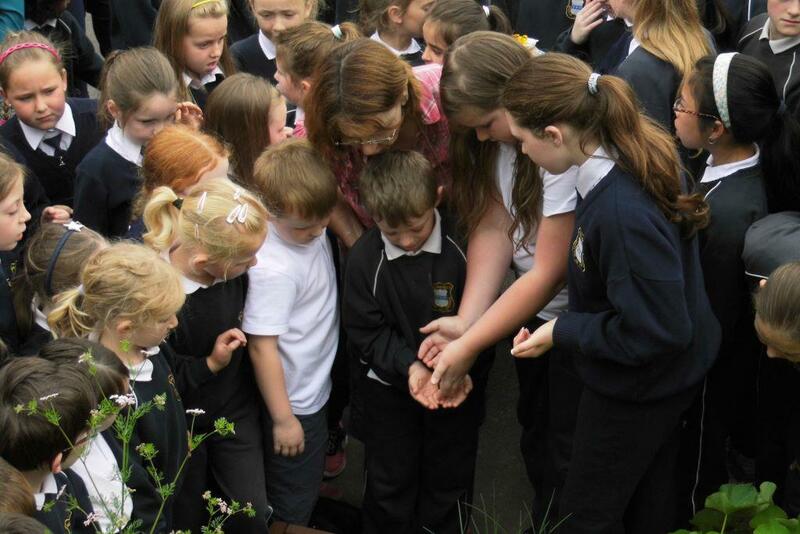 We fed them with fruit and ‘nectar’ (water/sugar) for about 3 days before releasing them. 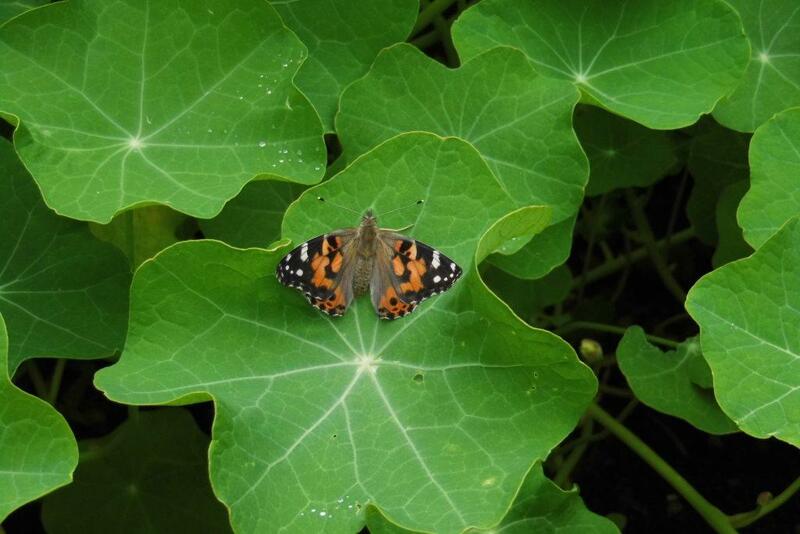 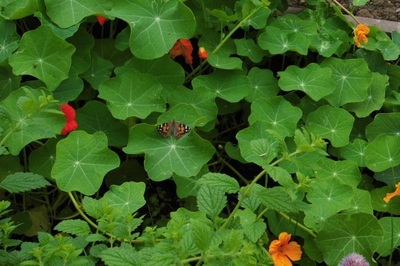 Our garden contains plants that are good pollinators (attractive to butterflies and bees) e.g. herbs, sweet-peas, nasturtium, lavender and buddleja. We hope that our butterflies are enjoying their freedom! 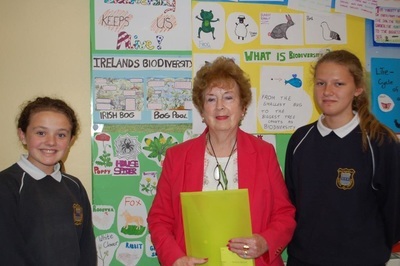 Bunscoil welcomes them one and all’. 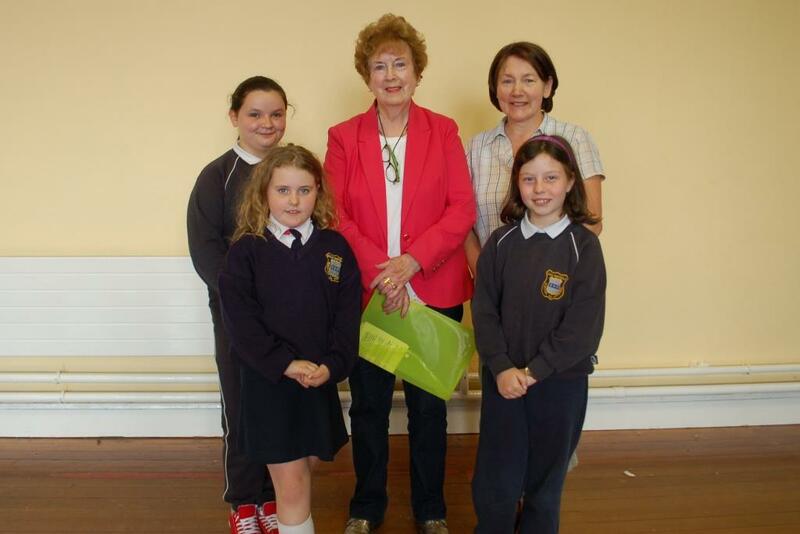 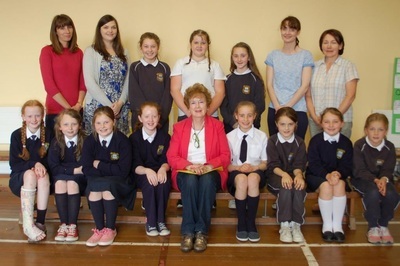 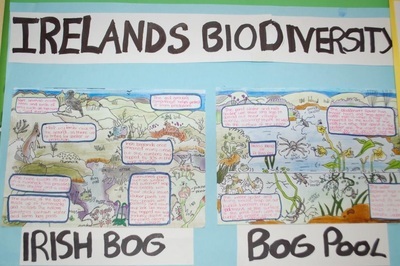 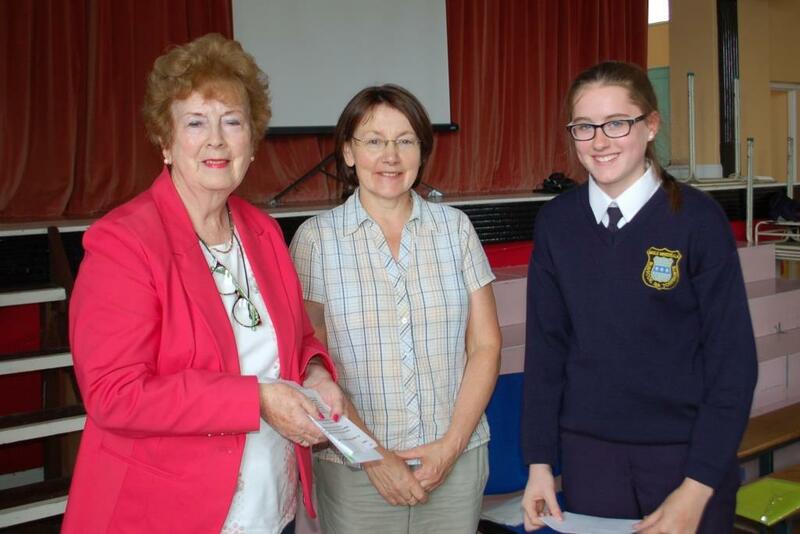 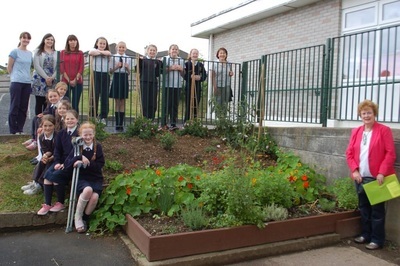 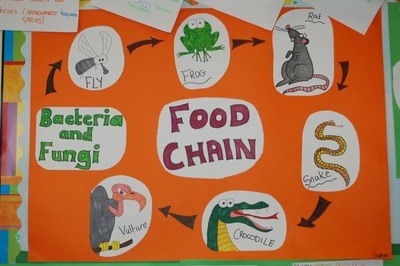 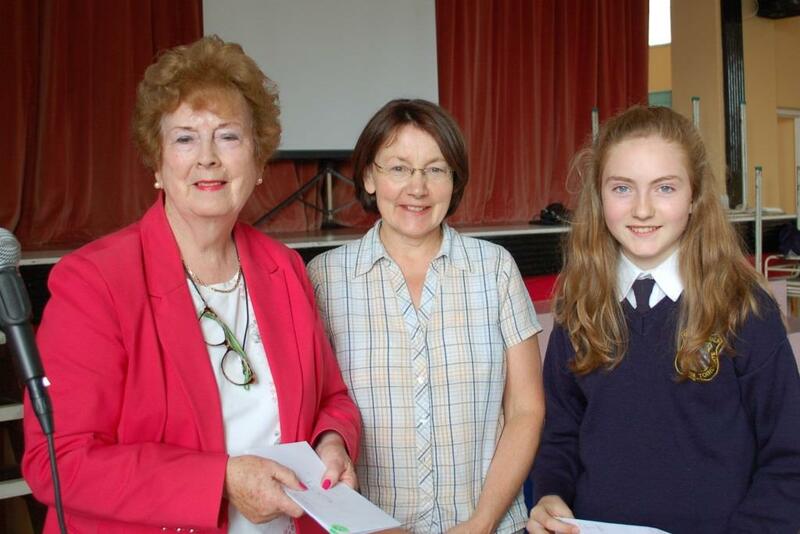 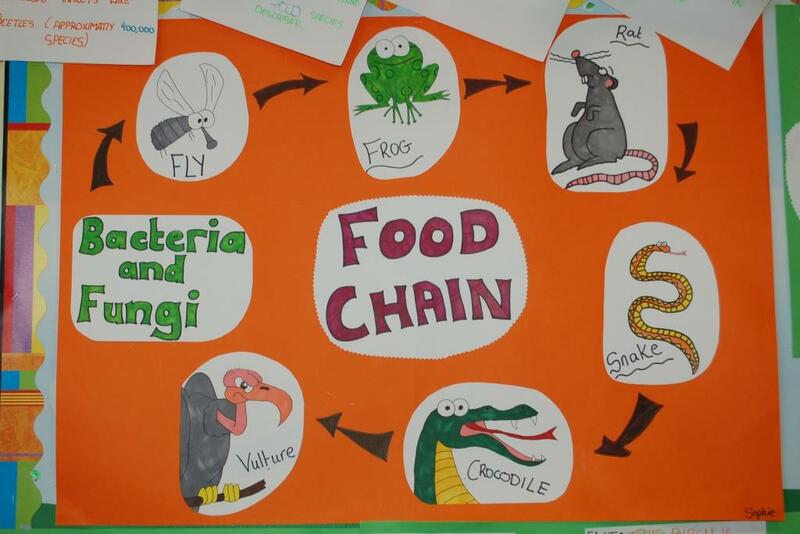 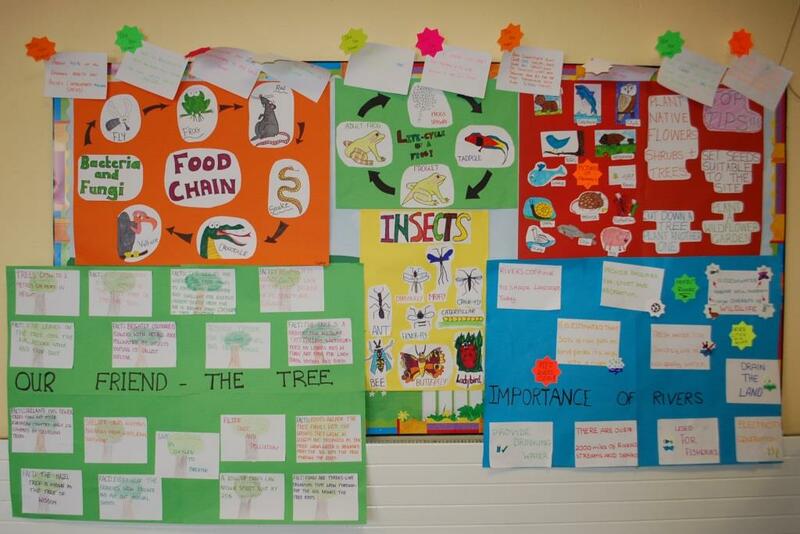 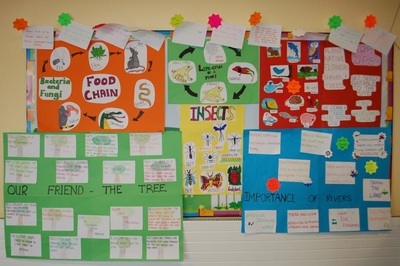 About 150 entries were received for this competition from 2nd to 6th class. 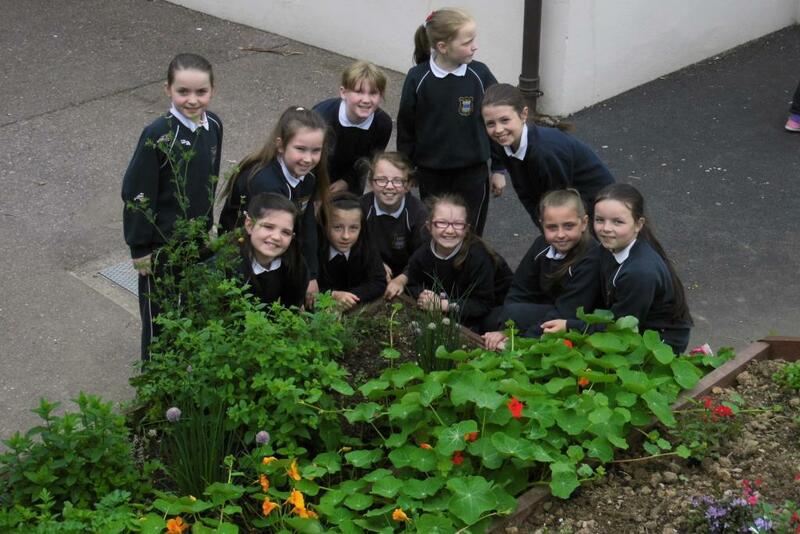 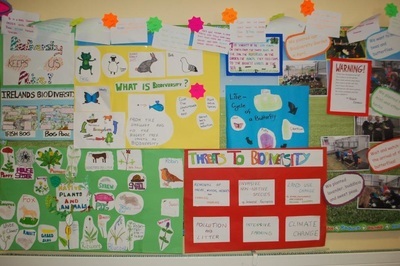 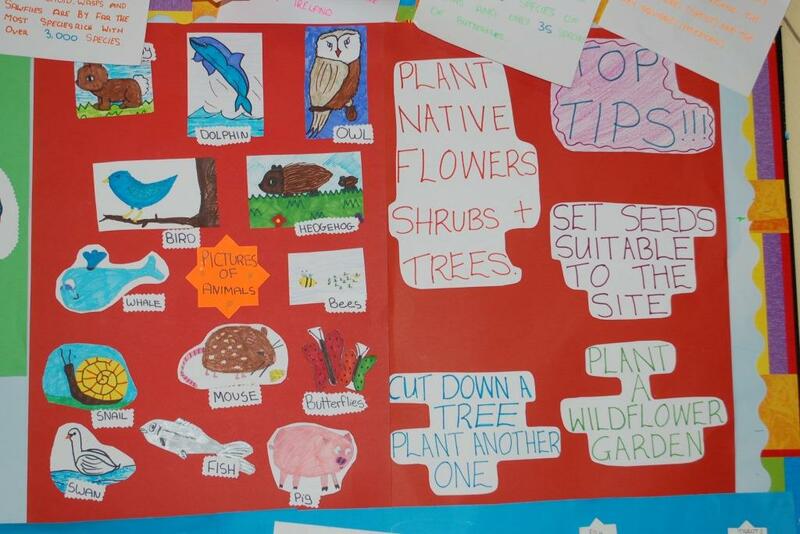 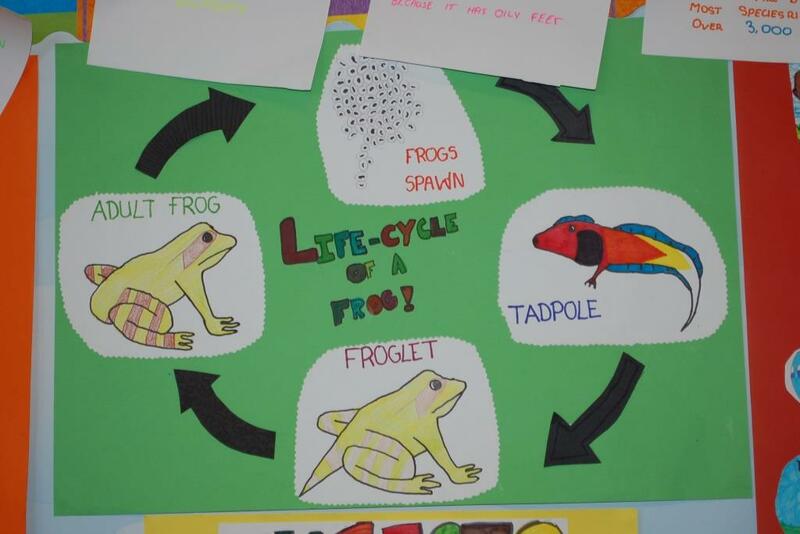 The girls showed great interest in and knowledge of biodiversity. 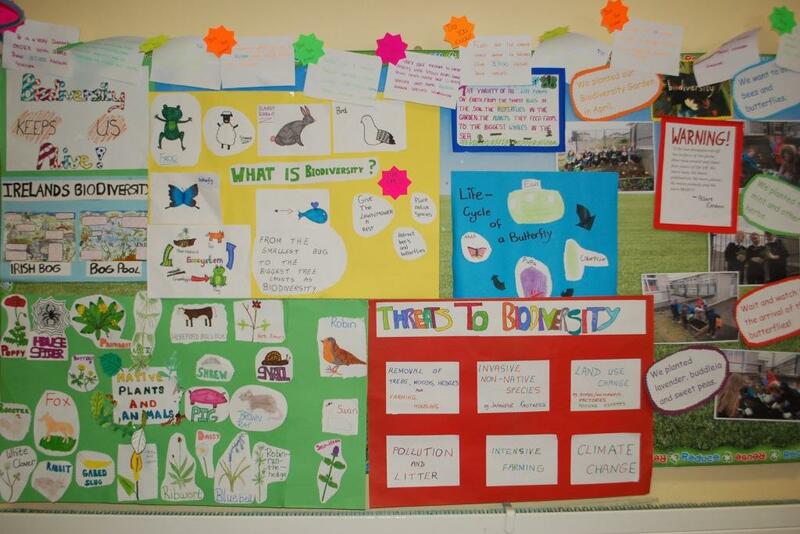 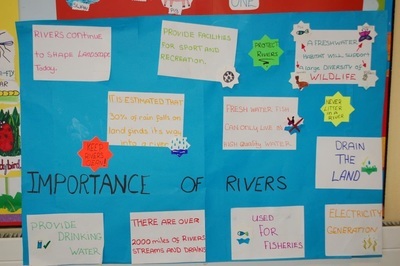 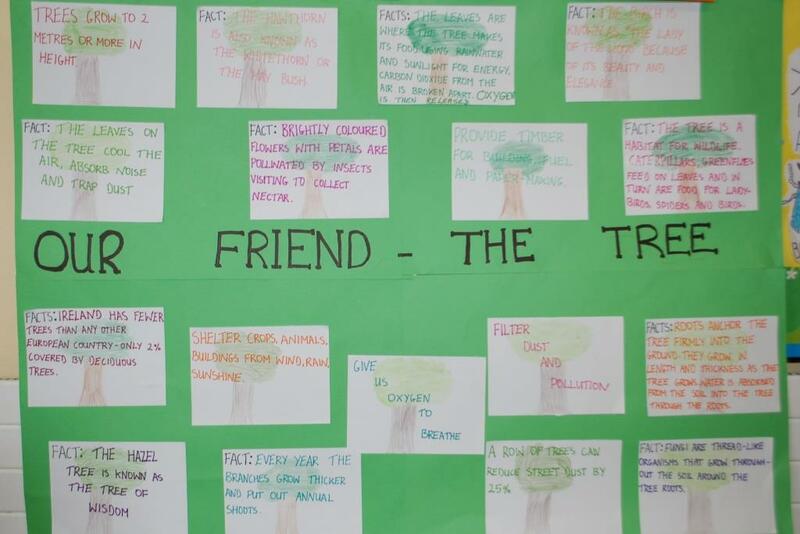 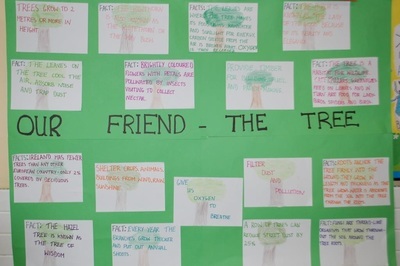 The slogans were of a high standard and will be displayed on our Green School noticeboards during the next school year. 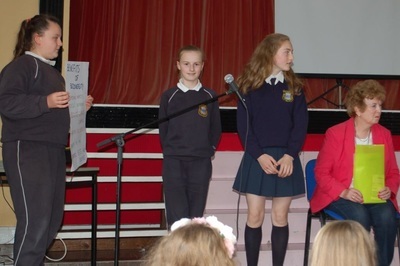 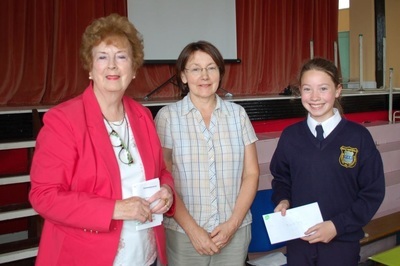 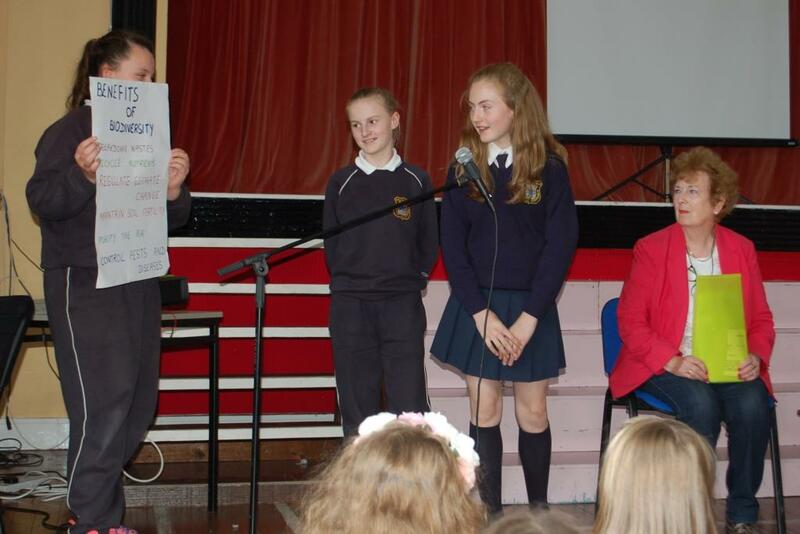 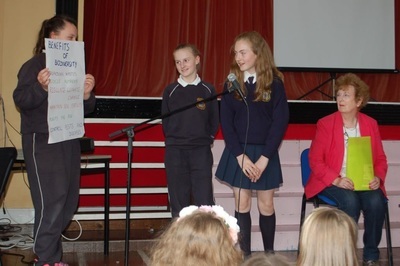 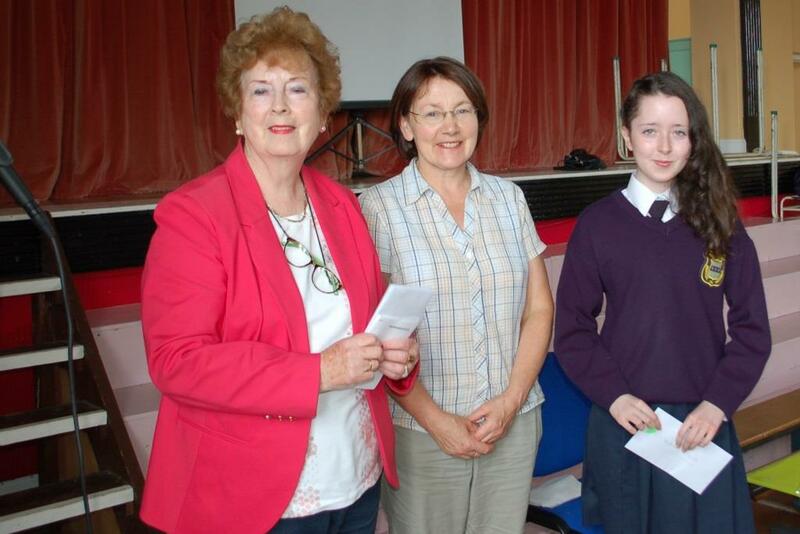 Congratulations to Ciara Murphy (5th class) for composing the winning slogans. 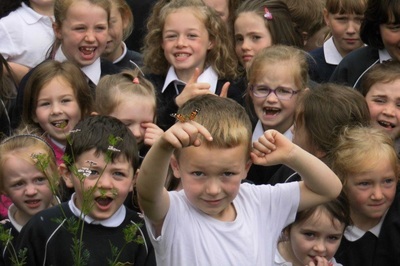 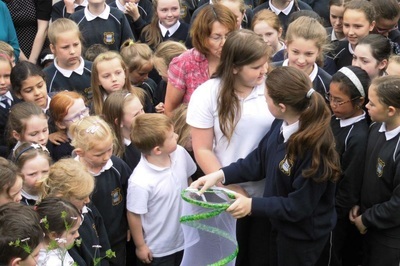 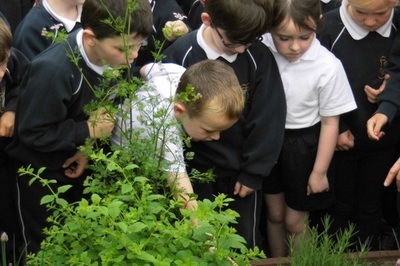 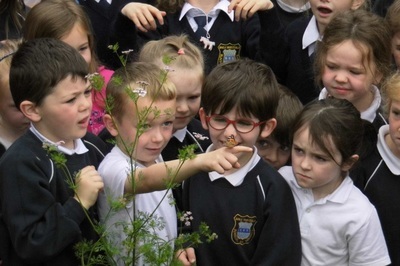 Attached are some photographs taken on the morning we released the butterflies, along with photographs taken during the school assembly with our special guest Bunty Flynn (AROMA).